If the groundhog sees his shadow, we’ll have six more weeks of winter. 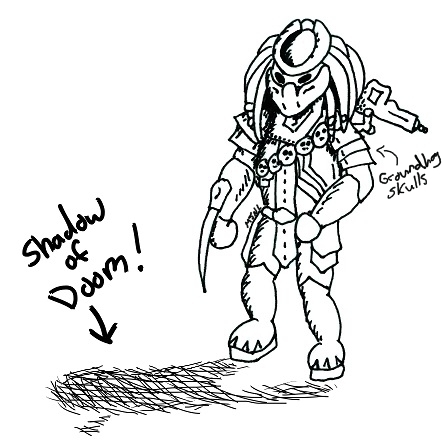 If instead he sees Predator’s shadow, he’ll get eaten, and we’ll have at least six more years of Schwarzenegger movies. Happy Strawberry Ice Cream Day! 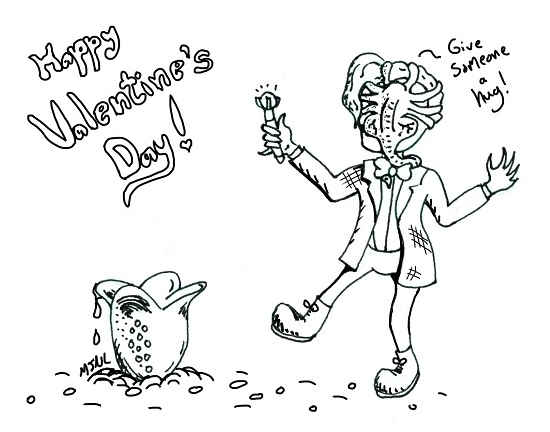 In honor of National Strawberry Ice Cream day, I have drawn you a little something. 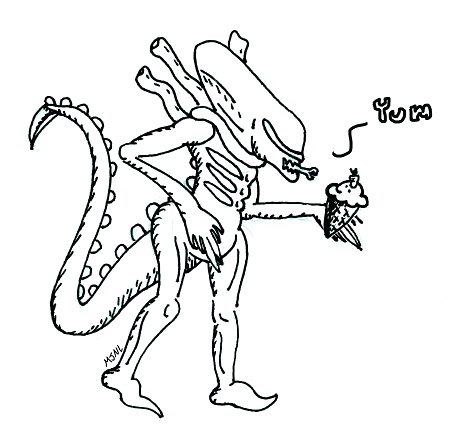 Even xenomorphs like ice cream.